Retail aesthetics, shelf life, and convenience are recognized attributes of vertical bags and there's an extensive potential range of options that can be designed into a package. Capable, reliable, flexible machinery is critical to your packaging success. 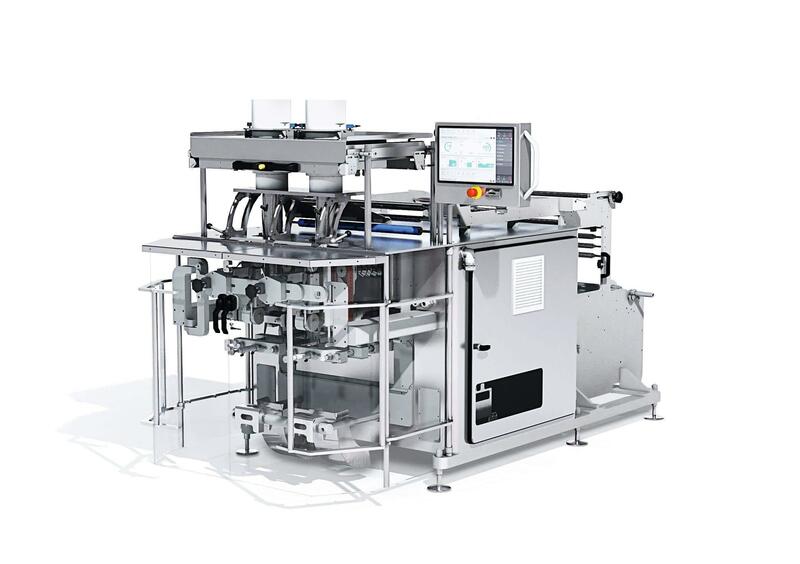 But thoughtful, broad & deep industry and consumer product insight is the key expertise needed to successfully install and operate VFFS packaging machine. Rovema has the expertise and experience you need. See below for our full line of VFFS Machines. Want to compare the hardware? 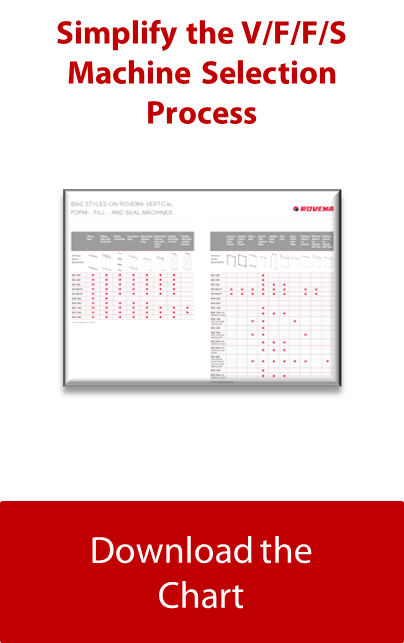 Check out our free downloadable machine comparison matrix. Want to discuss your application? Call us today! 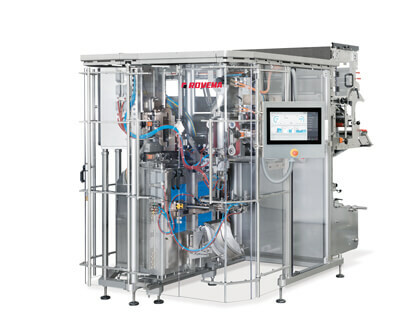 No matter whether frozen food, cereals or short cut pasta – the machine ensures at the same time a product safe handling and economical packaging of coarse, granulated, pasty or liquid products. The BVK basic can pack nearly an unlimited range of the most diverse products gently and safely in flat bags or flat-bottom bags. 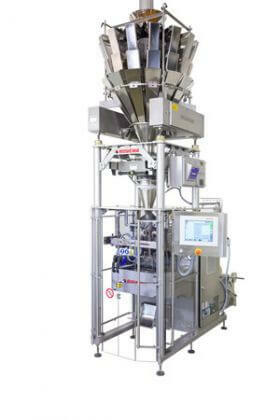 Depending on the product - lumpy, granular or powdery - a volumetric or auger feeder or a weigher completes the BVK basic. The continuous motion BVC form-, fill and seal machine is designed and built for optimum performance, and is equipped with product detection Sense and Seal™ and the high quality sealing technology "Premium Seal™" in conjunction with high speed. This will result in a very high machine efficiency rate whilst producing perfect bag quality. 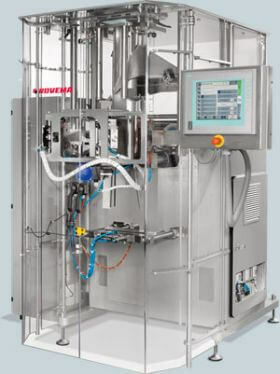 Servo driven, continuous motion vertical bagger for liquids and sauces with stainless steel wash down. 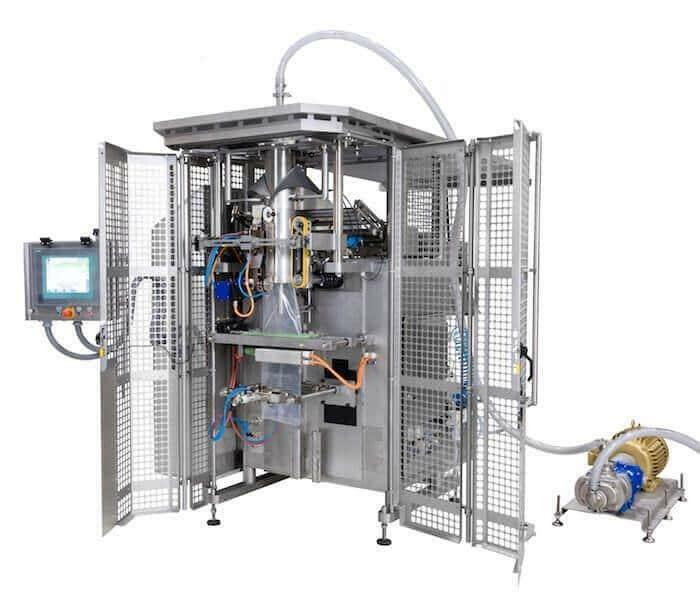 The SBS Brick packaging machine, is a combination of form- fill- and seal technology and specialized top shaping systems for compact packs with a wide variety of closing, easy open and reseal options, perfect for market areas which demand a unique, convenient and aesthetically pleasing pack style for product differentiation at point of sale. Continuous motion vertical form-, fill- and seal machine with integrated weigher uses a pair of rotating sealing jaws. This is the result of an update on the system used by Rovema for many years. The sophisticated and proven machine technology in combination with the completely integrated weigher offers an attractive concept for the snack industry. This continuous motion, dual axis servo machine provides virtually any package style, including the doy-style stand up pouch (RoPack). 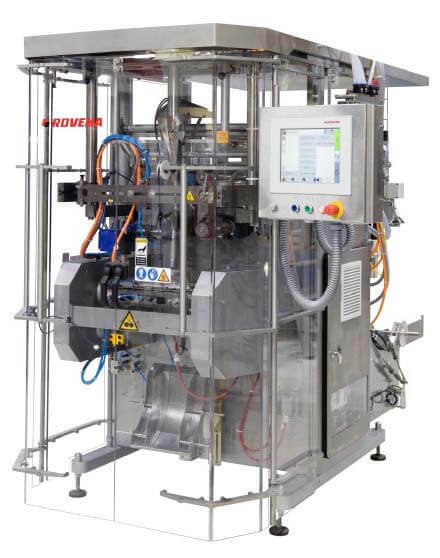 The new Rovema BVC-145 Twin Tube Form Fill and Seal machine sets new standards for the fast and space-saving production of perfectly shaped bags in the confectionery and snack food industries. We couldn't bring ourselves to say "innovative." Kinds of makes us feel nauseous to hear it. After all it's just a touch screen if you know what we mean. On the other hand some changes really are more than just incremental improvement. A list of historic firsts doesn't mean we're the best today, or the right machine for your packaging requirements. That's our job today and tomorrow - and our range of solutions below illustrates our current capability. But it's good to know the foundation that today's technology is firmly built upon!